"Reactivation of one of the NW craters with a weak emission of black ash occurred 20 January 1986 at 1030 (figure 1). The activity was observed by the pilot of a Chilean Air Force C-130 and reported directly by radio-telephone to the author. The volcano had been under observation since the last pyroclastic eruption occurred 10 January 1980. After the M 7.8 earthquake that affected the Santiago region on 3 March 1985, vertical aerial photographic coverage was carried out at a scale of 1:20,000 on 25 March 1985. No increased activity was observed within the caldera, which has a diameter of ~5 km and is covered with ice and snow. Glaciers descend from it toward the W. The group of cones and craters with historic activity, in the extreme NW of the caldera, have only a thin covering of snow. Observations on 24 November 1987 show ice partially covered by 20 January 1986 ash, and intense solfataric activity in the same crater (figure 1). Figure 1. Sketch map by O. González-Ferrán of the summit area of Tupungatito, labeling craters active in recent eruptions and the location of vigorous solfataric activity on 24 November 1987. "On 4 December, new aerial photographic coverage of the Tupungatito volcanic region was taken by the Air Force Aerophotogrammetric Service at the request of the author and the National Emergency Office. Analysis of the airphotos revealed a notable increase in snowmelt inside Tupungatito's active craters and an important increase in fumarolic activity without showing a direct relation with the 29 November lahar. "The volcano remains under observation. If it produced an eruptive reactivation of some magnitude it could: affect the glacier covering the caldera; cause lahars larger than the one that occurred 29 November; and seriously damage the S sector of Santiago, Chile and Mendoza, Argentina." Information Contacts: O. González-Ferrán, Univ de Chile. The Global Volcanism Program has no Weekly Reports available for Tupungatito. A series of subterranean noises at 0623 on 10 January was followed by an explosion that ejected a 1,500-m-high cloud of gas and ash from Tupungatito's SW crater. The next day, Oscar González-Ferrán and Sergio Barrientos flew over the volcano, observing that ash covered the snow NE of the vent and that the eruption was continuing, but with decreased intensity. The Seismologic Service of the Geophysics Department, University of Chile, recorded considerable seismic activity near Tupungatito. The principal earthquake, at 1851 on 14 January, was a shallow event with an epicenter calculated at 33.2°S, 69°W, 78 km NE of the volcano. It was felt at intensity 3 in Santiago, about 150 km from the calculated epicenter. In the next 2 hours, 17 similar events were recorded, of which three were located with the same epicenter. Between 2100 on 14 January and 0100 on 16 January, 13 more local events were recorded, one of which was fairly large. As of 18 January, both seismic and eruptive activity had diminished. 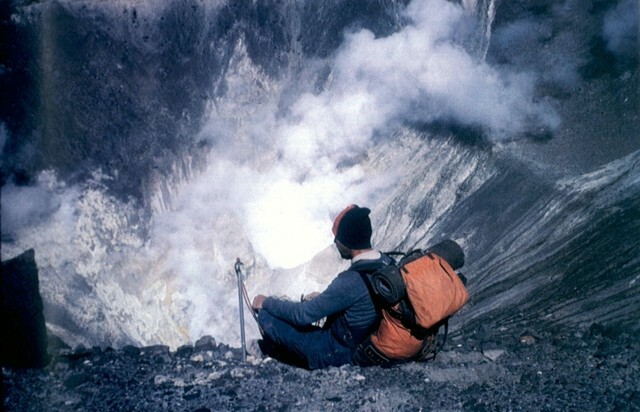 Tupungatito's last eruption, in 1964, consisted of explosions from the central crater. Information Contacts: O. González-Ferrán, Univ. de Chile, Santiago. Tupungatito volcano, the northernmost historically active volcano of the central Chilean Andes, is located along the Chile-Argentina border about 90 km E of Santiago and immediately SW of the Pleistocene Tupungato volcano. Tupungatito consists of a group of 12 Holocene andesitic and basaltic andesite craters and a pyroclastic cone at the NW end of the 4-km-wide, Pleistocene dacitic Nevado Sin Nombre caldera, which is filled by glaciers at its southern end and is breached to the NW. Lava flows from the northernmost vent have traveled down the NW flank breach. Tupungatito has produced frequent mild explosive eruptions during the 19th and 20th centuries. There is no Deformation History data available for Tupungatito. There is no Emissions History data available for Tupungatito. 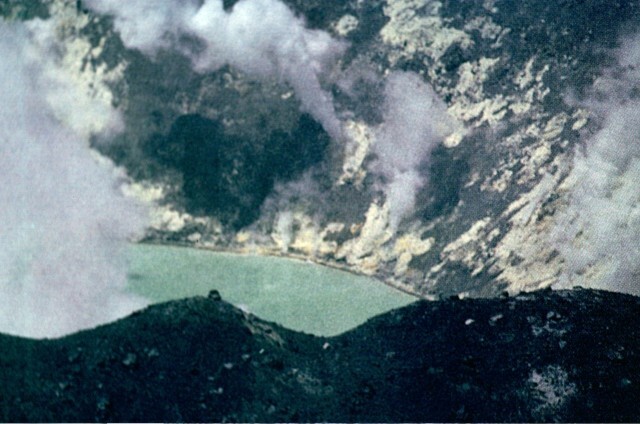 Steam plumes rise from abundant solfataras lining the shores of the acid crater lake where the eruptive activity took place at Tupungatito during the 1960s. Photo by Alejo Contreras (courtesy of Oscar González-Ferrán, University of Chile). Tupungatito volcano, the northernmost historically active volcano of the central Chilean Andes, is the broad, glacier-clad massif at the right center. 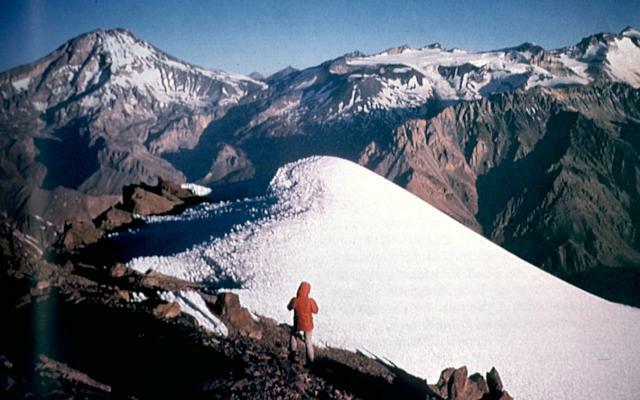 The glacial icecap fills the southern side of the Pleistocene Nevado Sin Nombre caldera, which is breached to the NW, in the direction of this photo. A dozen Holocene craters are found at Tupungatito, which has produced frequent mild explosive eruptions during the 19th and 20th centuries. Tupungatito is located immediately SW of Pleistocene Tupungato volcano, the large conical peak at the left. Photo by Sergio Kunstmann-Z, courtesy of Oscar González-Ferrán (University of Chile). Strong fumarolic activity occurs in the crater where the phreatomagmatic eruptions of the past two decades took place. A dozen Holocene post-caldera craters and cones are located at the NW end of the 4-km-wide, Pleistocene Nevado Sin Nombre caldera. There are no samples for Tupungatito in the Smithsonian's NMNH Department of Mineral Sciences Rock and Ore collection. Large Eruptions of Tupungatito Information about large Quaternary eruptions (VEI >= 4) is cataloged in the Large Magnitude Explosive Volcanic Eruptions (LaMEVE) database of the Volcano Global Risk Identification and Analysis Project (VOGRIPA).